After landing in Narita and taking a train to Shibuya we get to our first landmark. 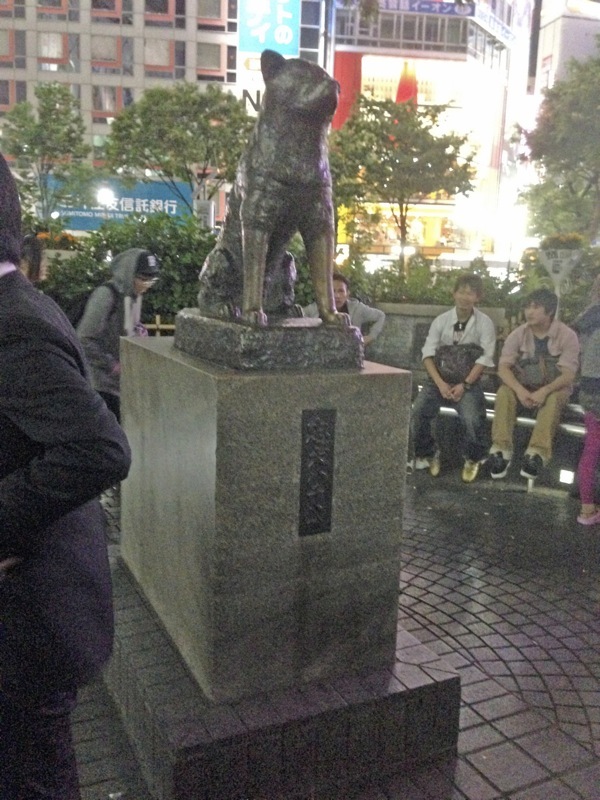 Hachiko Statue sits outside Shibuya Station and commemorates the loyalty of a dog for his master. As the story goes this dog would meet his master at the train station at the exact time the train came in every day. One day the master had a fatal accident at work and for the next 9 years Hachiko would come down to the station at the exact time his master’s train was meant to arrive and wait for him. Kinda sad but very cool. Over time people noticed and erected this statue.